“A New Era? : Timor-Leste after the UN” is an edited book which looks into the status of a newer country – that of Timor-Leste (East Timor). The book answers the questions of what it means to be a new state after a period of colonization, conflict and international interventions for peacebuilding. The editors Dr. Sue Ingram, Dr. Lia Kent, and Dr. Andrew McWilliam are senior academicians associated with Australian National University, working on Asia and the Pacific politics and Melanesia program. The book came soon after Timor-Leste experienced peaceful presidential and parliamentary elections, the winding-up of the Australia-led International Stabilisation Force, and the completion of the United Nations’ (UN) peacekeeping mission, after 13 years of UN presence, during 2012. Colonialism covered a major part of the world, leaving its traces in conflict, western European institutions’ replicas (in most of the colonies) and geographical demarcations leading to the formation of newer countries in the twentieth century. Countries like India, Pakistan, Australia, and Bangladesh are among them. South Sudan is the most recent example of it. In between these two types of newer nations, the name of Timor-Leste (East Timor) comes up. Timor-Leste became an independent state in 2002, after a long period of colonialization by Portugal followed by Indonesia. While today there are several ongoing conflicts and demands for new states, the book presents a case of Timor-Leste from socio-political and economic angles. The edited volume is a collection of essays written by research scholars, many of whom are based in Timor-Leste. These essays cover a wide range of topics, from the historic voyage of the country to governance, state-building and policy action. The writing style is academic and most of the chapters are written in a descriptive manner. The first part of the book consists of four essays on building a nation-state in the wake of Timor-Leste’s history. Nation-state building is a lengthy process. It involves efforts from different stakeholders, and synergy between institution building, policy making and work on the ground. Agio Pereira’s chapter on the challenges on state-building looks into the development Timor-Leste has seen since its formation. The state needs to have the necessary capacity to maintain the country’s sovereignty. Hence, institutional capacity-building is the main focus of the nation-state building process. Countries like Timor-Leste, while moving forward, always feel that the events and systems are shaping their future, as it is said in Timor-Leste: “Future is past’s child” – making it difficult to solve all the problems instantly as the roots of them go way back in the past. Colonialism, crises and different fractions are making a challenge for Timor-Leste, a country in the making, to work towards peacebuilding. 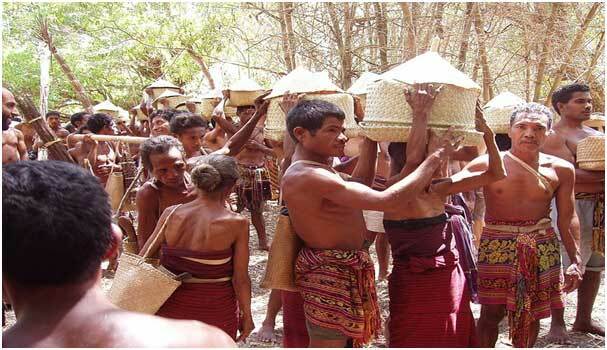 The second part deals with the process and challenges of the economic development in Timor-Leste. It is an oil-rich economy at present with 76.4 percent of its GDP comprising on oil and gas. But these are non-renewable sources, and the sole dependence on them can never be good for a lasting economy. Timor-Leste faces extreme poverty, underdevelopment, post-war trauma and a shady control of its oil and gas reserves by Australia. Furthermore, most of the basic infrastructure, such as power, water, transport, telecommunications, offices and school buildings built by Portuguese and Indonesian administrations in Timor-Leste were destroyed when the country was liberated in 1999. For a long time, the international community was directly involved in infrastructure building (and hand-holding). Now, the country is mostly on its own and in need of effective coordination and planning. Timor-Leste’s leadership has also been questioned as being elitist and populist, diverting its resources as per the needs and wishes of those controlling power, which again needs to be tackled carefully. Land and its perception among the locals, the government and the donors differ drastically. People see land not just as a geographical territory, but with having many functions; the government sees empty land as land to be developed, and the donor views it as a piece of property to be sold and mortgaged. Any developmental scheme has to be looked through these prerequisites to come up with an acceptable solution. In the next part, on stability and peacebuilding, the challenges of stability after the former Prime Minister XananaGusmão would resign, is analyzed. He was one of the few guerrilla leaders who made a successful transition to political leader, and he has been a huge force for stability. Post Xanana would be a period not easy for the new generation of leaders. Besides, there are still challenges such as professionalization of the security forces that need substantial efforts. Furthermore, understanding and inclusion of diversity in policies are important to correspond for policymakers. Then there are the two years long Laletek Project, which was implemented in urban areas to focus on social cohesion. The last part focuses on the questions of citizenship, migration, and inequalities. Timor-Leste is, like any other developing country, facing the problem of corruption. Its legal system is weak and state institutions are not fully developed, thus a need for massive education and awareness campaigns is emphasized. Furthermore, how women can be included in different schemes is discussed by giving an example of one of the programs. There also persist rural-urban inequalities and challenges posed by migration, all of which need careful consideration by policymakers. Timor-Leste is a new country in the collective of nations and is yet to find its place in multinational co-operations/platforms. It has been ruled by two different foreign nations and witnessed phases of an internal conflict that affected its capacity to function as a state. Moreover, its over-dependence on oil and gas tightens the scope of the country’s economy to grow much further. 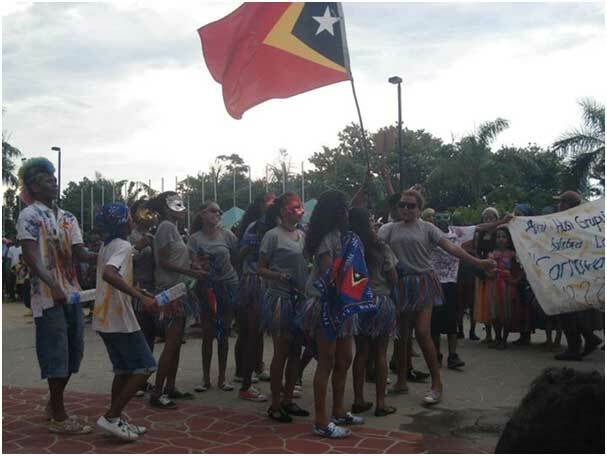 International actors and donors have played a role in stabilizing Timor-Leste for a long period of time. Now the country should slowly but steadily work on building institutions and infrastructure. Peacebuilding could be a tool for state building, given that the policymakers do not exclude any social group and not overlook the history of the country. The book provides a good overview of the situation of Timor-Leste. Its language is easy and can be a useful resource not only for students of political science but for general researchers and non-academic readers as well. It does not, however, provide substantial information on the current/post-colonial policy framework and the Timor-Leste’s constitution. Also, the book gives examples of a few welfare programs being run in Timor-Leste, leaving the readers puzzled if those programs/schemes will be continued and implemented throughout the country or if there is a need of a comparative policy framework. How is the country going to respond to the infrastructure building that is a major challenge? While reading the book, one may think that there shall be the second part of this book to expand on several points such as the implementation of Laletek Project, Strategic Development Plan, the question of corruption etc, which are raised here but not answered fully in it.